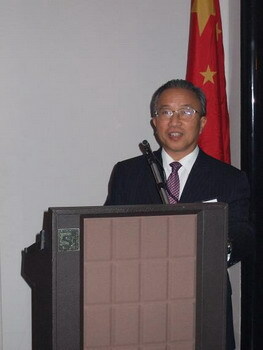 On November 6, 2007, Vice Foreign Minister Dai Bingguo, at invitation, attended the reception hosted by the US Ambassador to China Randt to commemorate the 35th anniversary of the China-US Shanghai Communiqué. 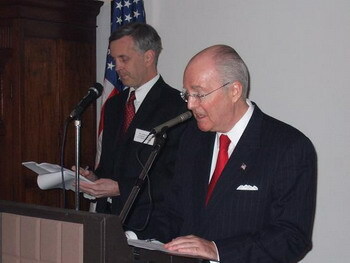 Addressing the reception, Dai and Randt made highly positive remarks on the historic significance of President Nixon's visit to China in 1972 and the Shanghai Communiqué and paid tribute to those people who participated in and pushed for the resumption of diplomatic ties between China and the US and the progress of bilateral relations. Dai noted that on the occasion of celebrating the 35th anniversary of Shanghai Communiqué China and the US should carefully review the historical experience, faithfully implement the three joint communiqués, protect the common interest of both sides, properly handle differences and jointly maintain and develop the bilateral constructive partnership. US Deputy Secretary of State John D. Negroponte sent a congratulation letter.